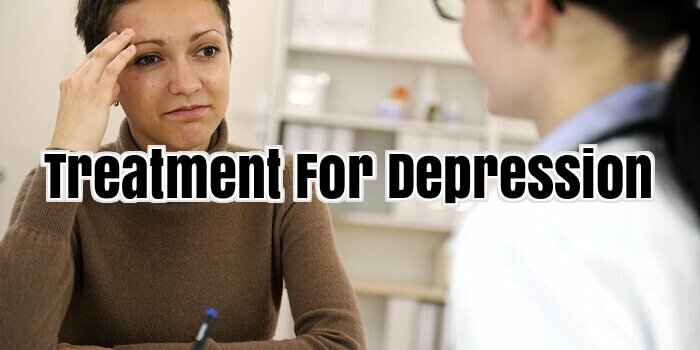 If you thought antidepressant medications were the only hope for depression as a remedy, then you may want to know more about non-medication therapies for depressive disorders that are equally remarkable than medicines alone. As a lot many people suffering from depressive symptoms cannot use medications given health factors, scientists have taken efforts to explore other modes of therapies that are devoid of dependence on only medications. These therapies are thoroughly researched as tested as effective by many researchers. Though not every kind of therapy works on every type of patient, these suggested alternate depression treatments are good enough to have a look at, and possibly experimented with for the mental wellbeing. Here are four major and interesting depressive disorder treatments studied by doctors and scientists, which have assisted many individuals in coping up with depression. Visualization technique is not only beneficial to alleviate depression symptoms, but also a means to communicate between mind and body. The guided imagery system concentrated on perception through senses like smell, touch, taste, vision etc. combined with movement and position to generate a relaxation response. The therapy involves stimulating mind to visualize scenes and pictures that produces a relaxing feeling. For e.g. the patient may be asked to think about waterfalls, sunset at beach or images that make him/her happy. To promote sense of smell, the patient will be asked to make an effort in sensing the fragrance of flowers, fresh breeze, intoxicating aroma of wet earth etc. For sound, the person will be asked to hear the sound sin nature like bird chirping, waterfall sprays etc. While it may be easy for some people to imagine things spontaneously, it may be a bit difficult for others. However, with regular practice it is possible to master this skill. The advantage of this therapy is that it can be practiced at home after being trained in it by therapist or a relevant source. For mild depression, you may not even need assistance of anyone for practicing the same. However, indulging in only positive guided imagery, which does not relate to stimulant to depression, is a challenge. The trick is to not have delusions of something, which can encourage depressive state. It is about accepting the ups and downs in life and imagines a way out or a scene that just calms mind without disrupting life, is what that has to be learned for complete relaxation and release from distress signals. It is hard to understand why a particular genre of music appeals to one more than other, or why a certain music track relieves tension and makes up for good mood. But, research has shown music therapy to be an effective non medication therapy for grief, stress, fear, mild depression, and anxiety. It works as a tranquilizer in a way that produces ecstatic feeling. If an example has to be quoted, Pythagoras the mathematician and philosopher from sixth century B.C are believed to be the founder of such therapy. While World War II was underway, the volunteers of Veterans’ Hospitals played music to uplift spirit of wounded soldiers. The reactions from the patients were very positive that VA included music therapy programs. If you have visited clinics or recreational spaces, most of the times there is a soothing music put on at waiting room. This is also seen as a practice in restaurants, hotels, spas etc. Though music therapy may be widely used as something non-clinical, many people do get relief from depressive symptoms with such a treatment. Physical injury especially to spinal section, directly affects the nervous system, which is linked to how brain works or neurotransmission. The neurological problems and depression are almost like two sides of the same coin. Spinal injury can bring in back pain, muscle strains, pain in arms/legs/neck, and headaches. Chiropractic treatment utilizes hands on manipulation to spinal area as an alternate therapy for aligning body’s musculoskeletal structure, and related depression, without medication or surgery. The manipulation is aimed at restoring tissue health, joints mobility, repetitive stress and pain due to the injury. Though the motive is to provide relief from pain of joints, bones, muscles, and connective tissues like tendons, cartilage, and ligaments, it has a sufficient role in dealing with depression caused by a traumatic event and injury. The remedy is sometimes more credible than psychotherapy for relevant patients. Certain lab tests and physical exams will determine with chiropractic treatment is suitable to work as sidekick therapy for depression and underlying causes. Chiropractors may include a nutritional counselling, rehabilitation for pain, and exercise regime for the patient. The goal of the treatment is to prevent injury, cure existing mental and physical stress by treating pain, and improve the quality of body motion by adjusting the bodily sections mentioned above. Advantage of such a therapy is that it can treat a lot many problems at a time, which also includes the physical reasons to depression and the latter issue, if not completely, but yet greatly. It is worth a try than just depending on antidepressant medications. Being a Chinese traditional treatment, acupuncture has a great hand in reducing pain and stress. Both the latter conditions are major reasons to depression and many health problems. However, finding the right acupuncture practitioner is a must, as not everyone maybe qualified enough to handle depressive disorders. During this mode of treatment, the practitioner inserts very thin needles lightly onto skin, which aims are balancing energy flow at the points being activated on the body. The westerners believe that such a mechanism motivates endorphins, the natural body chemicals blocking pain signals, to increase. Visit only a licensed acupuncturist. He/she will definitely ask about health history, search for regions that block energy, examines pulse/tongue/skin/eyes to make a diagnosis, establish landmarks for the placement of needles etc. The treatment can last for 15 minutes to an hour, and the person may require 5 to 10 sittings. As for depressive disorders, acupuncture may lessen anxiety, stress, worry, and panic by stimulating body system in producing hormones or chemicals, which act to reduce such complications. Most people feel no pain from the needles, while others may feel only slight pressure or a tingle/itch/numbness on needle insertion. Acupuncture is also noted to contradict physical issues, which may spurt depression. The conditions treated are headache, carpal tunnel syndrome, low back pain, fibromyalgia, tennis elbow, menstrual cramps, osteoarthritis, myofasical pain, sleep problems, digestive issues, and nausea. If you do not know which acupuncturist to approach, then ask a doctor for referral or an authoritative body that deals with such kind of treatment. You might be familiar of the feeling of anxiety and nervousness that may possibly ensue from typical day-to-day fears, such as speaking in front of many individuals or showing up for a job interview. Nonetheless, there can be times when you need to differentiate such typical reaction to the far more frightening panic attack. Primarily, a panic attack refers to the sudden onset of episodes of extreme apprehension or terror. Although the trigger for such condition isn’t yet identified, you’ll find certain panic attack treatments introduced for it, and these are enumerated in this post. Essentially, the most frequent panic attack treatment is the utilization of the paper bag method, in which patients are informed to breathe into a handy paper bag every single time symptoms of panic attack are experienced. It intends to normalize your breathing pattern and at the same time deal with hyperventilation, which is particularly the condition of deeper and faster breathing; hence, losing an excessive amount of carbon dioxide. Recognized as essentially the most advised panic attack treatment by most physicians, the Cognitive Behavioural Therapy, also a specific type of a talking therapy, proposes to enable patients to figure out the factors contributing to their condition. Realizing the causes for panic attack can stop them from taking place once again. This type of panic attack treatment is normally executed together with meditating and breathing exercises. Considering that frequent panic attacks are already deemed as signs of a panic disorder syndrome, anti-anxiety and anti-depressants drugs, such as Selective Serotonin Reuptake Inhibitors (SSSRIs), make the treatment for panic and phobia much easier. Although, it’s of utmost importance to collaborate with other experts for therapy, assistance and medications, it really is also a wise move to fight panic attacks with the aid of your very own perseverance. That’s why a whole lot of therapists and specialists suggest self-help methods as a form of a panic attack treatment. Depression is a common disorder of mind, which a large population in world is suffering from. Professional help is required in severe depressive disorder cases. But, a mild depression or mood disorder can be fixed right at home with self help techniques. Though we do not advocate against the ‘requirement’ of a therapist’s assistance, there are some fun anti anxiety activities that can be practiced at home without spending a penny. Here are 12 ideas of prohibiting stress and anxiety when at home. No need to go on long walks or engage in stressful physical activities to stay fit. Though these chores will definitely spice up your mood, substitute schedule can be drawn in home without stepping outdoors. Yoga and aerobics do not specifically require a person to venture out of house. These days a lot of yoga postures for anti depression are found over the internet. Several health organizations have described these over their websites for people who want to be happy being at home. Check out those materials and get the joys flowing. We do not advise you to pile on junk food regularly, but once in a blue moon, pampering yourself is not a bad idea. Moreover, certain cravings can definitely lift up your mood, dwindling the ‘bad days’. Stick to tasty snacks that are healthy. For e.g. you can choose a nice dressing for raw salad to make it delicious instead of hogging a burger. Include nuts, omega 3 fatty acids, vitamins B, vitamin D, fiber and proteins in your diet. All these boost mood and keep up the balance of neurotransmitters. It is said that what calms mind is sure to make a good beat for thwarting distress. You must have found many clinics and hospitals playing relaxing music in the background. They do so for the same reason. Many therapies for anti anxiety include playing of soulful music or the tune that appeal to the patient in dealing with mood disorders. At home, you can create a play list of your favourite anti depression songs. These can also be found on the internet, and forget that you were ever depressed. It is not only the songs, but sensory visions too play an important role in enhancing mood and removing sadness. If you focus on positive activities, all your attention gets diverted to the task, closing out the possibilities to think about negative aspects. So, you can watch a list of mood refreshing movies whole day and remain content. One movie you can consider is ‘Pursuit of happiness’. Try to avoid gore, horror and violence related films, even if these impress you. As we are speaking about anti anxiety activities, books cannot be left behind. Not every person loves to read, but it is a worthy practice to be tried out. There are many self help books that focus on ways of warding off depressive condition. Such materials can not only keep the mind busy, neglecting suicidal and hopelessness thoughts, but also teach your tricks to curb depressive disorder symptoms. But, do not straight out begin practicing un-prescribed tips without consulting a therapist. Not in the mood to meet your friends by travelling far, no worries, just call up your friends and invite them home. Social interaction is one of the key treatments for depressive state. In fact, therapists undertake interpersonal therapies in improving communications skills of the depressed person. Healthy conversations are those sugar bars that keep you charged up for the day. Plan out some fun activities at home with friends, and in no time, depression will be cast out in a bin. When giving importance to friends, do not forget that your family could be the best companion. Talk with close relatives and members at home. Share with them how you feel, what you think etc. They will surely help you out and add on to the motivation for a good life. It would serve better than promoting solitude by being hooked up within self. Being at home gives a great chance to open your mind to family members and let them be a part of your recovery journey. It is rightly said that life gives birth to a new life. Taking it as a metaphor and literally as well, it is been proved that activities like gardening and playing with animals can actually cut out stress, anxiety and panic. If you are not so good with pets, then perhaps try your hands at indoor gardening. It is simply amazing to see the plants growing, and caring for them will in a way assist you learn the importance of a pleasant life. Many people driven towards suicide have practiced this trick and still alive with an optimistic approach. If the above mentioned tips were not enough for ceasing mood disorders, then you can have customized anti depression activity for yourself. If you love to draw, scribble, sing, play instruments, cook, converse over the phone, etc, then just do it. Hobbies and recreational routines keep a person happy and joyous. These are also potent in pushing back stress. Regular involvement in ‘healthy’ hobbies is bound to act as a therapy for stress. However, do not get into any risky activity that could deteriorate mental and physical health. We have already discussed that physical workout means like yoga and aerobics are excellent to breakdown depression. But, if you are not interested to get into such regiment, then practice few stretching exercises, which can be achieved while you are lying down or sitting. Everyone loves an easy way out, and sometimes, such tips are up the sleeves. So, why not use these? Simply moving about your hands, head, shoulders and lower body part can relieve stress or strain on mind and body. Insomnia is one of the reasons and symptoms of panic. When outdoors, it is difficult to get enough sleep or even try contradicting sleeplessness. But, when you are at home, this becomes one of the easiest anti depression activity. Take part in some relaxation techniques; get an in-home spa done or aromatherapy to induce sleep. Enough sleep hours are needed to keep mental trauma at bay. Make sure if you are using any incense, these do not have an interacting action with any antidepressant that you may be consuming. Yes, we are talking about in-home anti depression tricks. But, this does not disqualify the role of sunlight in aiding to minus mental misbalance. Get a skylight in your room or in restroom, or simply sit out at porch, veranda/backyard etc. Feel the outdoor breeze at comfort of your home, and let sunrays splash on your skin. Doctors say that light therapy is commendable in treating seasonal associated depressive disorder. It burns out gloominess, sadness, and reduces the panic and anxiety attacks. This is one of the most effective treatments for anxiety disorders in children. This treatment focuses on children suffering from generalized anxiety disorder or separation anxiety disorder or social phobia. This treatment is well suited for children in the age groups from 9-13 years. Here in this kind of treatment, the children are given various relaxation training sessions and also implement various cognitive strategies and the important reinforcement techniques. All these will help the child to effective have a positive thought in his mind which helps in reducing the anxiety disorders in that child. This treatment is given in a split time period of weekly 1 hour sessions by the therapist. If a child is suffering from very much sever stress, then family intervention is also required in this type of treatment. It’s all about child-parent understanding and developing the trust on each other. Parents play a crucial role in this treatment where children are more comfortable with their parents. Hence parental sessions play a major role in treating anxiety disorders in children. This type effective treatment techniques deals with talking with the child continuously and getting his inputs on how he feels and what he feels. With respect to behavioural therapies, various relaxation and mind diversion techniques are taught to the child to help him recover from anxiety disorder. The medical researchers have found that all these medications were safe. Children taking these medicines are not prone to any side effects. There has been considerable improvement by each of the children who use these medications. Care has to be taken that these medications must be taken only after prescribed by the therapist. This is a very effective type of medication and it is one of the methods of treating anxiety disorders in children. About 60% of sufferers struggling with depression don’t discover any advantage from their initial antidepressant. As much as 20% of sufferers discover depression not possible to conquer even following 1 year. Assertive treatment of depression in the get goes is important to assisting recover from depression. Battling intense depressive episodes is by no means a simple job. Whilst every episode might differ in frequency and severity, 1 factor is for particular, your partner will probably be left physically and psychologically exhausted and so will you, particularly if you have been via numerous these episodes together with your partner. You are caught in between a psychological and emotional rock along with a difficult location. You adore your partner but you are at your wit’s finish simply because you do not know what to complete for the partner or yourself. Consequently, you might be seriously considering a separation or divorce. Psychiatrists do not possess a shared definition of treatment resistant depression. Ensure that your depression isn’t a phase of Bipolar disorder – it may be difficult, but should be ruled out. Co-occurring addiction, anxiety or other psychiatric illness ought to be diagnosed and handled. Psychiatric diagnosis nonetheless remains a subjective enterprise. Gets a second viewpoint concerning your diagnosis? Even when you like your therapist or psychiatrist, and intend to obtain treatment from them forever and ever, get a second viewpoint from various psychiatrists. Take your medicine as prescribed. Preserve your frequency of psychotherapy. These issues take time to function. Do not skip doses or sessions. And do not quit on any treatment prematurely. Your dose of antidepressant might require adjusting to obtain much better outcomes. Some antidepressants function much better at greater doses. Other people possess a window of dosing in which they might work the best for you personally whilst getting the fewest side-effects. You will find about 30 antidepressants belonging to about eight classes accessible within the US. Even amongst sufferers who’ve had trials of numerous medicines, most have attempted only 2-3 classes. Speak for your physician about attempting medicines from classes which you haven’t attempted but. When you have partial response to an offered medicine, adding an additional medicine that’s compatible using the initial medicine might permit you to develop around the effectiveness with the above medicine. Speak for your physician about this. The medicine additional might be an additional antidepressant, or perhaps a medicine that’s recognized to assist antidepressants be much more efficient (e.g., T3, lithium). Think about the function that light treatment, fish oil, SAM-e and physical exercise can play inside your treatment. Whenever you select a complementary treatment, talk about them together with your psychiatrist or main care physician, and select only in the ones which are scientifically confirmed to function and use them in dosages and methods which are also scientifically confirmed. If you’re not currently in psychotherapy, you need to think about adding this for your treatment regimen. Psychotherapy usually doesn’t function as rapidly as medicine, but tends to have lasting advantage. Inquire to get a referral to a therapist who treats utilizing among the regularly confirmed therapies in depression – interpersonal treatment or cognitive behaviour treatment. This can be a treatment that entails repeatedly delivering extremely, extremely brief magnetic pulses towards the component with the brain that’s most believed to become involved in depression. It had been cleared in 2008 by the FDA as efficient in those that have failed treatment with 1 sufficient trial of an antidepressant. It has couple of side-effects, but carries having a minuscule danger of seizures. It’s an outpatient treatment that doesn’t need sedation or anaesthesia. This really is most likely probably the most efficient treatment for depression, but to become efficient it demands that a seizure (convulsion) be triggered. Consequently, it should be carried out inside a hospital setting, utilizing sedation and muscle relaxation. It might impair memory inside a lasting manner in some sufferers. Most importantly, talk about these treatment choices together with your physician, psychiatrist or therapist who will systematically assess how any selected treatment is operating. Consume a balanced diet plan. Exercise just a little bit daily (towards the extent the body permits as well as your physician approves). Reduce smoking, drinking. Try to connect with loved ones often. None of this might be simple whenever you are depressed, but overcoming treatment resistance demands you to complete your component towards the extent which you can. The growth of natural anxiety treatments as an industry gives some idea of the strength of feeling that can be invoked by the thought of taking prescription drugs on a long term basis. Natural anxiety treatments fall into several different categories. When we are suffering from anxiety we put our bodies under a great deal of stress. One of the most important things to do is make sure that you have a healthy well balanced diet and that you try hard to maintain steady blood sugar levels by eating regularly. See our article on anxiety and food. With many of us leading hectic lifestyles, diet can often suffer and a lack of some vitamins and minerals can make it harder to cope with anxiety. Magnesium is an essential element that is used by the body to help maintain the health of vital organs. A lack of magnesium has been reported to cause many of the well known symptoms of anxiety such as depression, fear, irritability, confusion, insomnia, restlessness and memory loss. It is usually recommended that magnesium is taken with potassium and calcium. Magnesium will help with the absorption of both of these minerals. Calcium has been shown to help with calm nerve cells and potassium helps to lower blood pressure. So the three elements combined can help to boost brain activity. The effects of magnesium on anxiety are still being researched. When you are suffering from anxiety, your body feels stressed. At times of stress our bodies use up the stores of vitamins B and C. B vitamins are needed to maintain a healthy nervous system and deficiencies can lead to irritability, tiredness and further anxiety. There are a number of different B vitamins so a vitamin B-complex is the best way to maintain vitamin B levels. Vitamin C has been well known to help with the body’s immune system and help to fight off infection as well as helping the adrenal gland which is part of the body’s internal system for coping with stress. Amino acids help in the manufacture of neurotransmitters which are the chemicals which transmit nerve impulses across the synapses of our nerves. Neurotransmitters like serotonin, dopamine and epinephrine all help the nervous system and having low levels in your body can result in anxiety. Poor diet, infections and viruses can all lead to depleted neurotransmitters so considering supplements such as GABA, DLPA (DL-phenylanine) and Tryptophan can all help. It is worth getting advice about these before starting any course of them. There are several herbal remedies for anxiety that have become popular. Kava Kava is an herb that originated in the South Pacific and is now widely used in the treatment of insomnia, anxiety and depression. The plant is a member of the pepper family and the root and rhizome of the plant are used to produce natural remedies for anxiety. Clinical trials have shown that it is effective in the treatment of anxiety but there is concern over potential liver damage in some countries so Kava Kava is not recommended for anyone who has liver problems or is taking medication for a liver complaint. It is not suitable for anyone under 18, pregnant or nursing women or anyone already taking prescription drugs. Passionflower is an herbal treatment that has traditionally been used in the treatment of insomnia, anxiety and seizures. It is a climbing vine that is now grown extensively throughout Europe. The flowers leaves and stems are used in the production of the supplement. There is some evidence that it helps in the treatment of anxiety although there has been limited scientific research as to its effectiveness in treating anxiety or GAD, (Generalized Anxiety Disorder). Chamomile is a herb that has been used in supplement form to help with the treatment of a variety of conditions including not only anxiety but also, skin infections, wounds, colic, nappy rash as well as upset stomachs. Chamomile is also popular as a tea, used to help with relaxation and insomnia. There has been limited research as to the effectiveness of Chamomile for the various treatments attributed to it. Valerian is a plant that is native to Asia and Europe and it has been used for thousands of years for a variety of problems including insomnia, digestive problems, headaches and even arthritis. Despite its extensive use, little research has been done on how effective it is although clinical trials have shown some evidence that it is effective for sleep problems. Anecdotal evidence from people who take valerian on a regular basis suggests that it promotes a felling of calmness and relaxation and helps with stress and anxiety. Skullcap is often sold in combination with valerian for the treatment and relief of anxiety and nervous disorders. Skull cap has been used for centuries as a tonic for the central nervous system. It is said to calm the nerves and help in the treatment of a range of nervous conditions including anxiety, restlessness, hysteria and hyperactivity. There has been a small amount of research which appears to validate the claims that Skullcap is effective in the treatment of anxiety. Lemon Balm is classified as a stimulating nervine or nerve tonic and has been used along with other herbal remedies in the treatment of anxiety in particular where the anxiety is as a result of long term exposure to stress. St John’s Wort is probably the most widely known natural remedies and is used extensively in Europe for treating a variety of mental disorders. Research suggests that St John’s Wort is effective in treating mild to moderate cases of depression but its usefulness and effectiveness in treating anxiety has not yet been proven through research. There is sometimes a link between anxiety and depression. Breathing exercises are a short term coping mechanism that anyone can use to help to overcome panic attacks, anxiety and stress. Put time aside each day to practice deep breathing. Take deep breaths in, breathing in continuously for four seconds and then exhale slowly, counting to four slowly as you do so. Continue doing so for four minutes and repeat this exercise two or three times a day. It has a direct impact on your anxiety levels simply because it occupies your mind, stopping the introspective feelings that often accompany anxiety. It also educates your body to breathe more deeply and deep breathing has been proven to help with relaxation. By the time that you have been practicing this for a few weeks, your natural anxiety levels will have dropped, helping you to cope with any stressful situation that you find yourself in. Exercise regimes like Yoga, Tai Chi and Pilates all use breathing control as a way of focusing the mind and relaxing. Take a look at local classes and try one or two to see what works for you. Exercise is now prescribed by doctors alongside anxiety reducing drugs as part of any anxiety busting regime. Exercise has long been known to help reduce blood pressure but recent research has shown that it has a significant effect on anxiety levels. When we exercise we produce endorphins that give a natural high. These chemicals boost our immune system, decrease our blood pressure and reduce anxiety levels completely naturally. The best sort of exercise is aerobic exercise where our pulse rate and breathing increase. A brisk walk for 20 or 30 minutes, a swim or a run will all have the same effect. Get into the habit of exercising on a regular basis and you will get a daily endorphin boost that will help you to cope with anxiety. There are a number of different things in our lives that can add to our anxiety levels. Something doesn’t have to be bad to do so either. Getting married or having a child can be one of the most stressful experiences in life. Exciting….yes but also potentially stressful. Bereavement and divorce are high on the list of events that can trigger anxiety. But anxiety can also come about through a number of different small stressful events that cumulatively create an anxious state/. Each event on its own is small enough to cope with but when they all come at once or in close succession, it can all become too much, causing the onset of an anxiety disorder. So, Firstly, take a long hard look at your life and some of the decisions that you have made and see if there is any stress that you can lose from your life. Secondly, take a look at how stress and anxiety have affected you. Have you started drinking more? Has the healthy diet gone out of the window? Diet and anxiety are closely related and alcohol and anxiety do not make good companions so take an honest look at things and see if you can look after yourself better. And finally, make time for what is important in your life. Find time for family and friends. Make sure that they are the right friends, the ones that support you, that make you feel happy and valued, that entertain you and help to take your mind off your anxiety, not dwell on it. If you have decided to go the route of natural anxiety treatments, make sure that you use and think about all aspects of your life. Don’t just rely on supplements, for example, and expect a miracle cure, look at lifestyle, diet and exercise as well. Each can help a little and between them, maybe you’ll master your anxiety and never look back. Sumanta Mandal is involved in healthcare market research since 2008. He is passionate about herbal health, organic health and alternative medicines. He has written many articles on various health care topics. None of the statements made on www.stressreliefadvice.com have been reviewed by the Food and Drug Administration (FDA). The advices and products mentioned on www.stressreliefadvice.com are not intended to diagnose, treat or prevent any diseases. You should consult with your doctor before using any product mentioned on www.stressreliefadvice.com. We may receive commission or other income on certain products. However, this does not impact our reviews and comparisons mentioned on www.stressreliefadvice.com. We try our best to keep things fair and balanced, in order to help you make the best choice for you. Any and all trademarks, logos, brand names and service marks displayed on www.stressreliefadvice.com are the registered or unregistered trademarks of their respective owners.